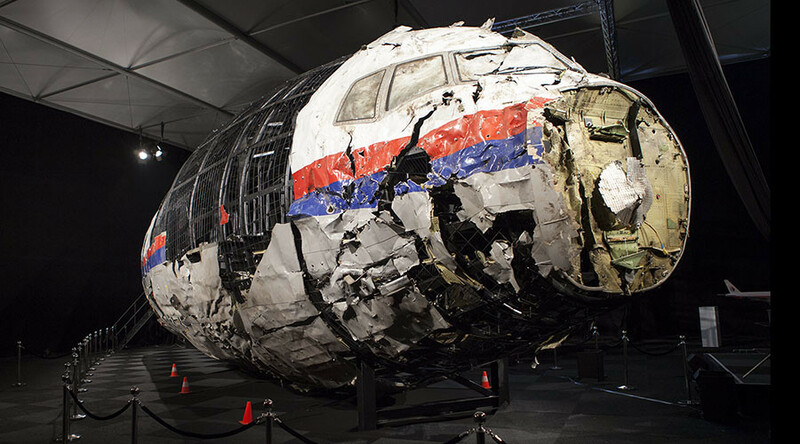 The Dutch Safety Board says a BUK missile with a 3N314M warhead was responsible for downing MH17. It also noted that Ukrainian aviation regulators admitted that arms were being in the east of Ukraine which were capable of striking passenger aircraft. "In the months before the crash, at least 16 military airplanes and helicopters were shot down in the eastern part of Ukraine. Ukrainian authorities were aware of this. They stated that, occasionally, weapon systems were used that could reach the cruising altitude of civil airliners. Yet, despite of all this, Ukraine did not close its airspace," said Tjibbe Joustra, the Dutch Safety Board chairman. The announcement at an airbase in Gilze Rijen in the Netherlands mentioned that civil aviation aircraft should not have been allowed to fly over the east of Ukraine, due to the risk of a plane being struck. Tjibbe Joustra, the Dutch Safety Board chairman stated that there were more than enough reasons to close the airspace of eastern Ukraine and that Kiev should have taken these steps. "It is clear that Ukraine already had sufficient reason to close the airspace over the eastern part of Ukraine as a precaution before 17 July 2014. None of the parties involved recognized the risk posed to overflying civil aircraft by the armed conflict in the eastern part of Ukraine," a press release from the Dutch Safety Board stated. No such precautions were taken and 160 different commercial aircraft were flying along the same corridor from which MH17 was downed. Immediately after the tragic accident took place, airspace over the region was closed. The Dutch Safety Board also mentioned that they have been unable to determine who was in control of the particular area where the BUK missile was fired from. They added that the warhead was detonated from somewhere within a 320 sq km area in the east of Ukraine. However, they did agree that it was a 9N314M warhead launched by a BUK surface-to-air missile was responsible for downing the Malaysia Airlines plane. It detonated to the left and above the cockpit and the forward section of the aircraft was penetrated by hundreds of high energy objects, which came from the warhead. This caused the airplane to breakup immediately and wreckage was distributed over an area of 50 sq km.